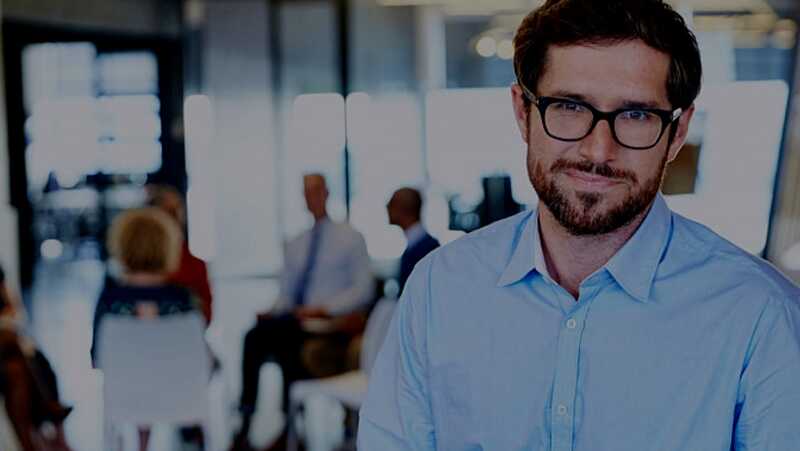 PaymentWorks gives you transparency into the payment process. 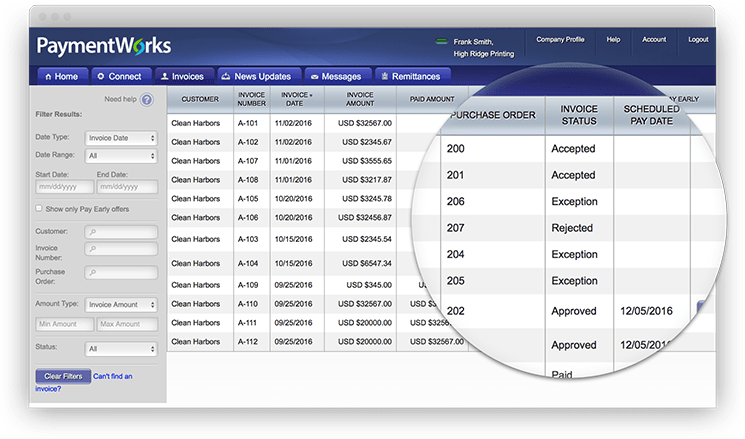 Invoice Status: View the status of invoices. Remittance Details: Access remittance details. Messaging: Send messages to your customers to resolve exceptions. 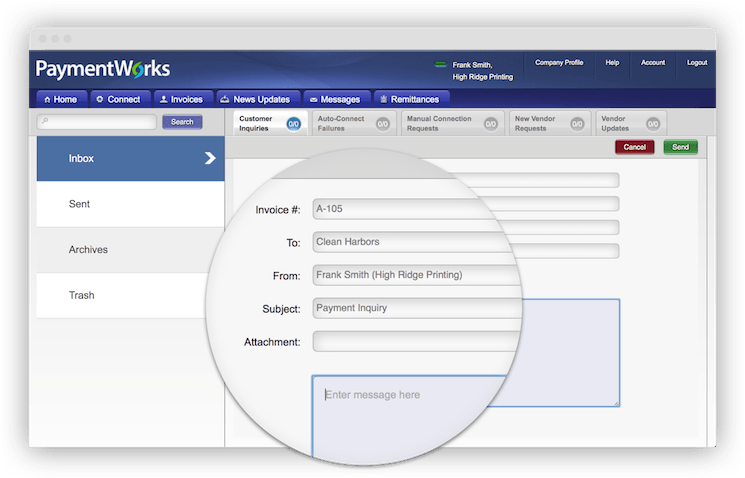 PaymentWorks enables you to send messages to customers with questions about an invoice or a payment. 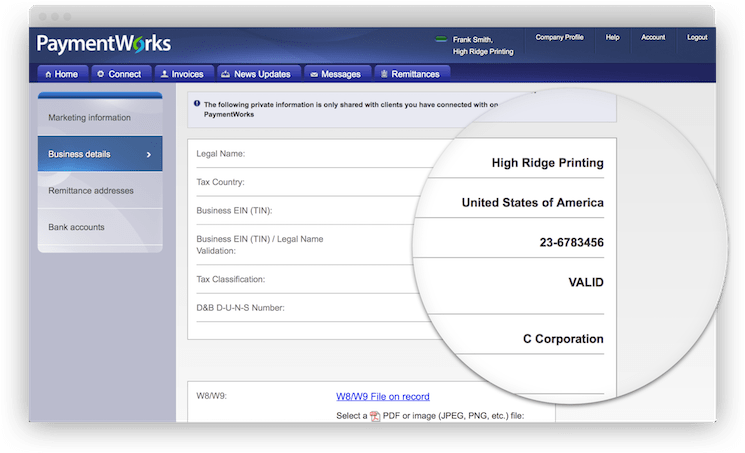 PaymentWorks allows you to maintain your company information in one place. Real time alerts: Customers are notified when your information changes. Get Paid electronically: Update banking information to receive ACH payments. 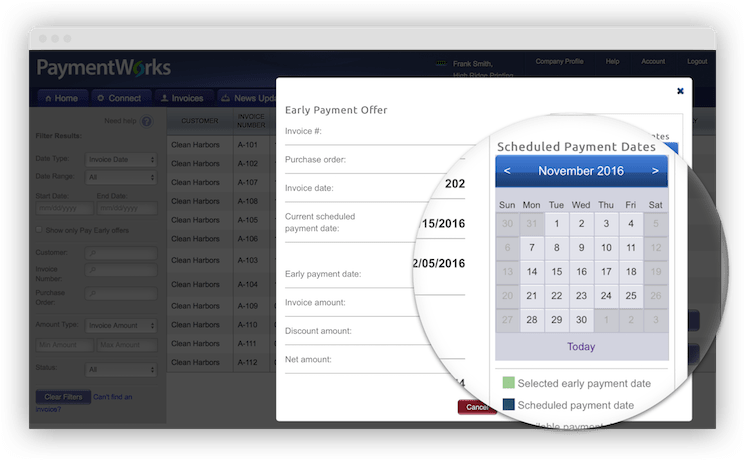 PaymentWorks can make discounted early payment offers. Early payment: Click on the offers to view terms and get paid early.